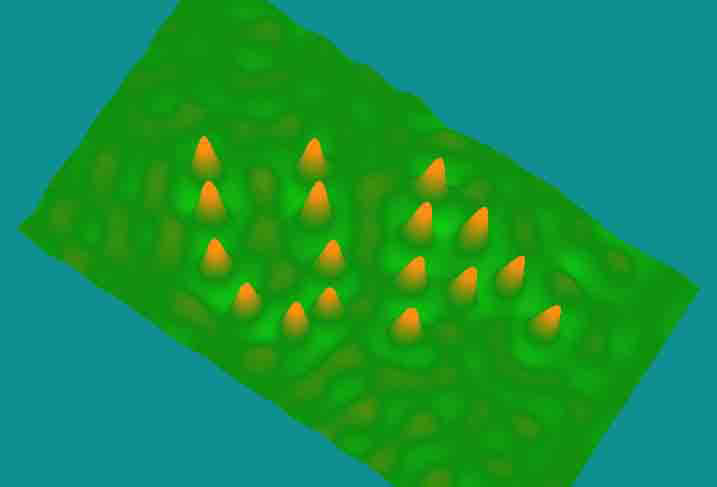 The principal research activity of the ultrafast microscopy group is the elucidation of magnetic phenomena at the nanoscale, through the development and application of advanced measurement techniques. For example, stroboscopic magneto-optical microscopy provides spatially-resolved observations of spin dynamics in ferromagnetic micro- and nanostructures on fundamental (picosecond) time scales. The fundamental time scales for mechanical dynamics are size-dependent, and for nanoscale structures these also push into the picosecond regime. At present (2015), our group is obsessed by opportunities at the intersection of nanomagnetism, nanomechanics, and nanophotonics. Mechanical measurements have a storied, millennia-long history of being among the most sensitive in the scientist's arsenal. Photons in the near-infrared spectrum hold the record for detection of ultra-small mechanical displacements (despite their relatively long wavelengths). We also strive to expand research-related opportunities for undergraduates. Our major current initiative in this regard is the Science Hardware Space (also known as the Shack), which supports student projects through training in and access to 3D printing, benchtop small part numerically-controlled machining, do-it-yourself electronics and open-source coding.